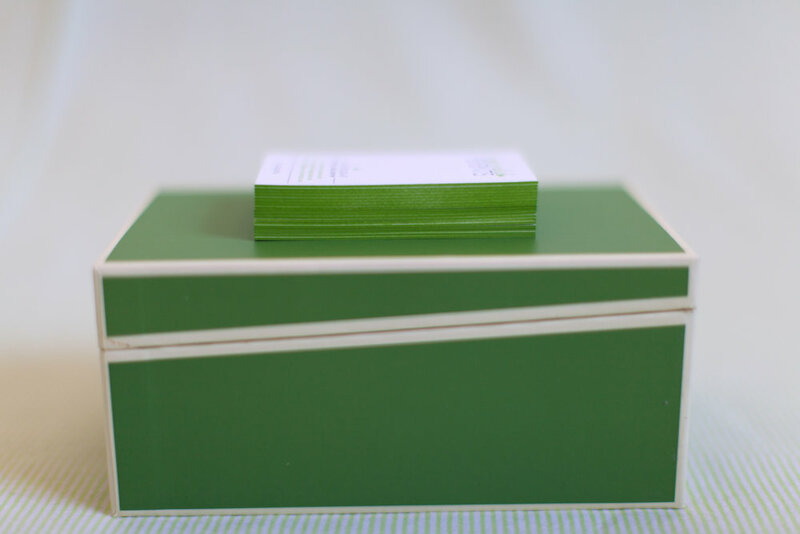 I'm so excited to share photos of our new business cards and note cards! 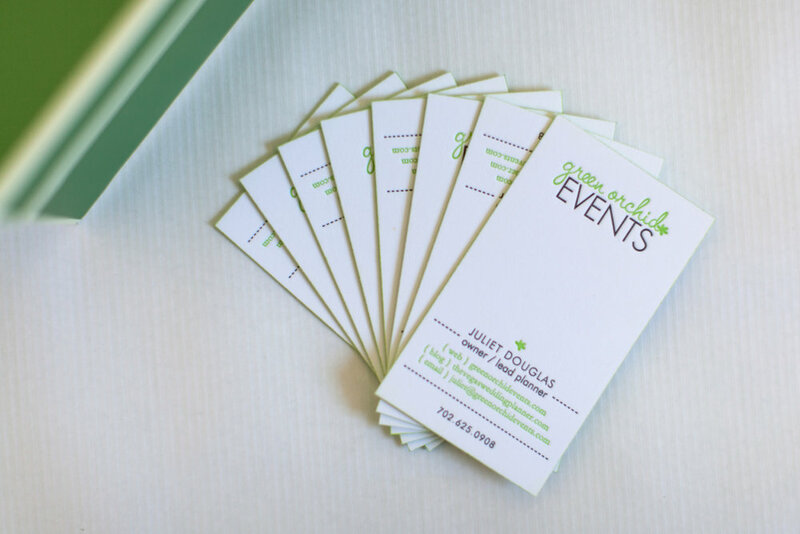 I wanted a really simple and contemporary design for the business cards but decided to go for letterpress and green painted edges and I love how they turned out. For the note cards, she also kept the cards simple and allowed plenty of room for writing. The back side includes a background pattern that is used on my website. Special thanks to Arizona based graphic designer Kelly Ashworth for the logo design and Las Vegas based Suzanne Johnson of SHE Paperie for the business card and note card design. Thank you to my friend, photographer, AND neighbor (I live two walking-distance Las Vegas blocks away from her!) 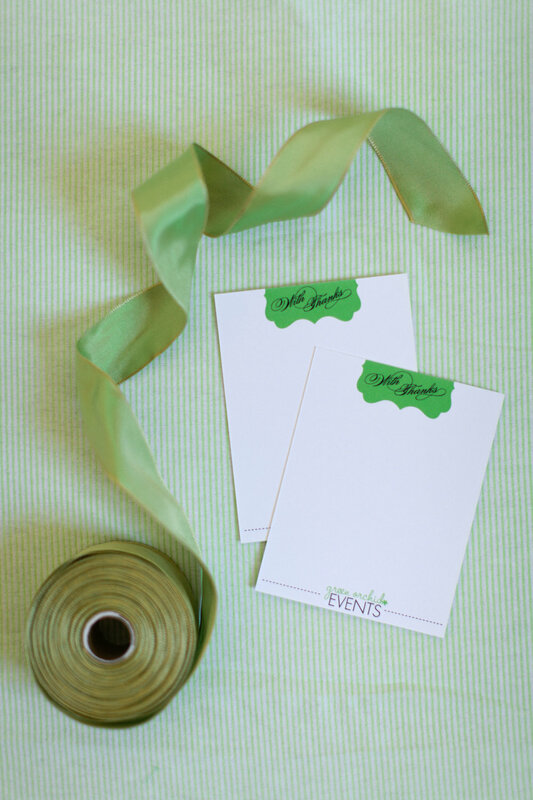 Meg from MegRuth Photography for taking photos of my new stationery!